The samurai is one of the most significant symbols of Japan. Japanese people, and even non-Japanese people, are fascinated by this class of warriors. Because of this high interest I wanted to conduct an interview with a samurai, however, no real samurai exist anymore. 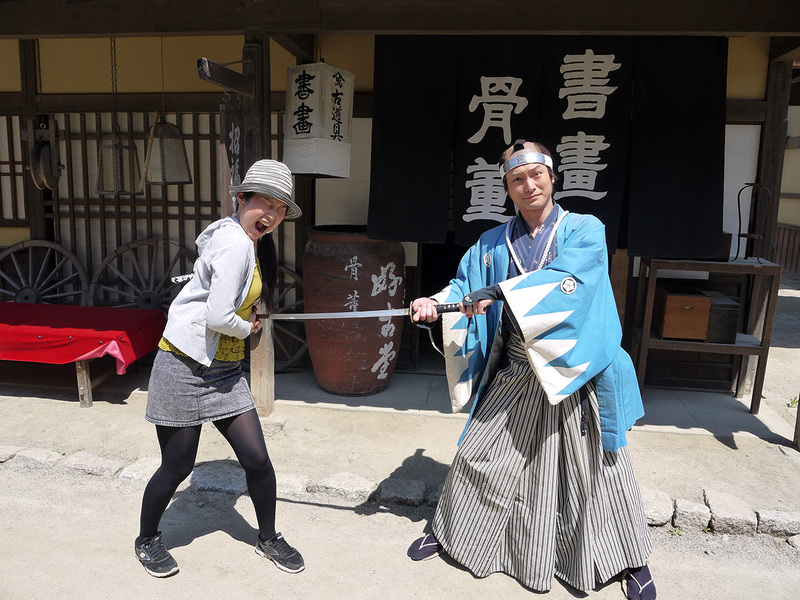 Then I tried to think about the next best thing: a samurai actor! Luckily, by chance I know a real samurai actor, though the way I met him is such an embarrassing story. However, I'll reveal it to you right now, if only to show you his incredibly thoughtful samurai spirit. I was rather intoxicated one winter night in Kyoto, Japan. To be honest, I have no memory of that night, and I passed out in the Sanjo arcade while on the way to my friend's house. Believe it or not, the person who found me and took care of me was a "samurai." 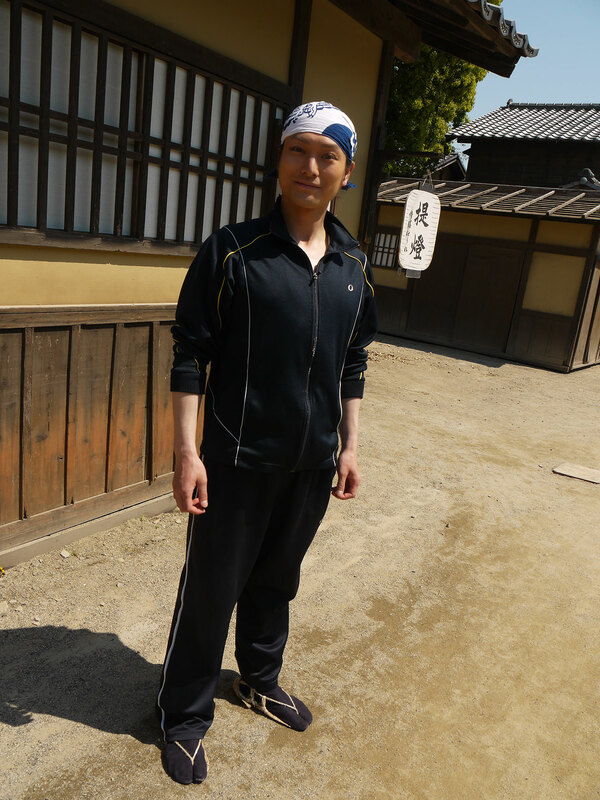 He wasn't dressed as a samurai at the time, but the next day I learned that he was a samurai actor when I visited Toei Movie Village to thank him and return his tenugui, which he lent me when I threw up in a bush next to a park, cut the skin on my nose on a branch, and got a nosebleed. Again, I don't remember the story so everything I do know came from what he told me of it later. I regretted all of this a lot, yet it gave me the great opportunity to meet this samurai actor, Mr. Takahiro Hotta. He was as kind as he was back then when he accepted my interview request for this article and volunteered his time to answer my questions and his samurai modeling skills for a photo shoot. So I'd like to send a very special thanks to Hotta-san! Now let's find out more about him and what he does for a living. Name: Takahiro Hotta. Occupation: Samurai. 1. How long have you been samurai? I started at the age of 18, right after graduating from high school. So it's been 15 years. 2. How many films/plays have you been in? Countless, especially if you count all the shows in the movie village as well. I do the show 6 times a day, about 10 days every month, and I have done that for 15 years. So…how many have there been? When I play in a musical, it often runs for over a month with shows every day. If I count every single play, I wouldn't be pushing it if I said 10,000 or more. I'm not sure how many because our company does various films, dramas and plays and I'm called to so many places. Sorry. 3. What kinds of films/plays have you been in? Actually, I often play more than one role in a film. In one film, for example, I once played the role of a lord watching a samurai match in the presence of the Emperor and later appeared as a retainer prostrating myself before another lord and then later appeared as a samurai in a fight sequence. It doesn't typically happen if I have even one line in a film, but if I do a nonspeaking and unrecognizable parts, it's pretty common to play many roles. I once played a lord and a farmer in the same film and in another I played five separate roles in one day of shooting. I do various roles, though the most common role is as a samurai, good guy or bad. Maybe I play bad ones more than good ones though – the ones who get killed at the end. A much larger portion of my work these days is found in plays, ever since the decline of the samurai film and drama industry. Yet, 80% of my job is still reserved for samurai films and dramas. Contemporary plays make up the other 20%. 4. What is your favorite film that you have been in and why? Ummm…that's tough to decide, but if I had to choose one, I'd go with Mito Kōmon (Mito Kōmon 水戸黄門（みとこうもん）) because the entire film staff worked well with each other and were united in the same goal. Additionally, all the actors and actresses got along so well with each other. It was so great to shoot in an environment where people so readily communicate and understand each other because it made the work that much easier. There were also a lot of professional and skilled people there and I found a lot of inspiration while working on that film. I'm not sure if viewers felt it while sitting in front of the TV, but the atmosphere while shooting Mito Kōmon was very serious and tense, and I really liked it. It was one of the most memorable films I have been in. 5. Why did you want to become a samurai actor? I grew up in Uzumasa where the TOEI KYOTO STUDIO is located so I had familiarized myself with samurai plays since I was little. For example, I was able to see a samurai with a topknot (the bun on his head) and wearing straw sandals in the shopping arcade near my house. 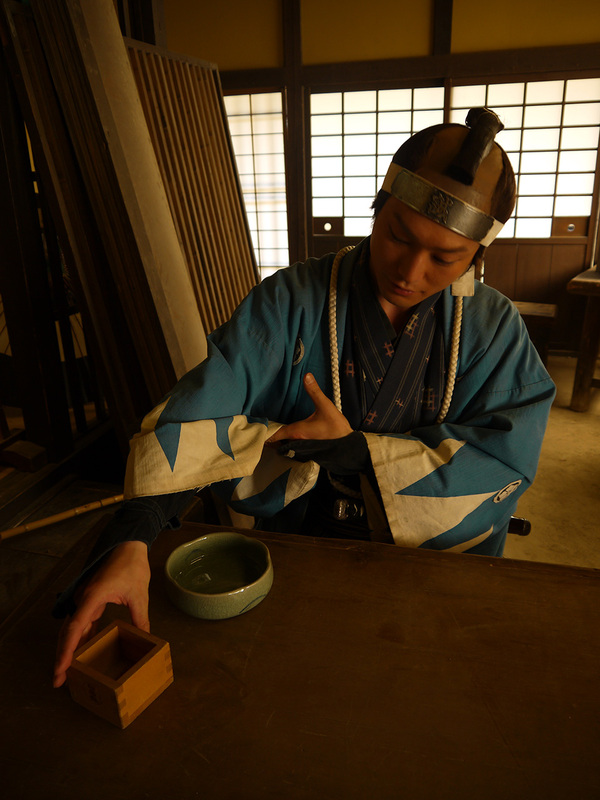 I also saw one of the main cast members of Mito Kōmon, who was playing the role of an elderly nobleman, drinking coffee at a café. Although I wasn't dreaming of being an actor when I was little (I rather wanted to be a childcare worker since my parents were running a nursery), I became a teenager and started watching TV dramas and plays, and I really enjoyed the samurai films, dramas, and plays. I then got interested in doing a job where I could make people feel moved or energetic, so being an actor became my dream while in junior high school. 6. How does one become a samurai actor? 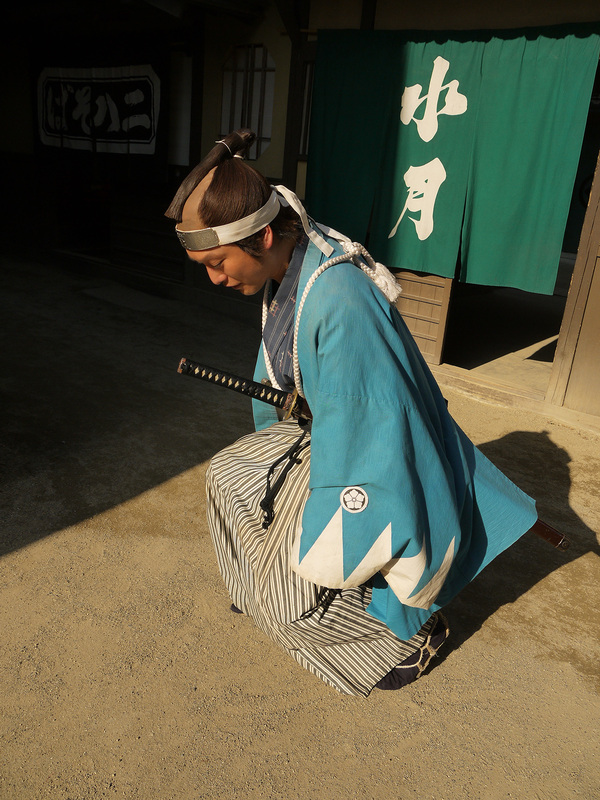 The center of samurai acting in Japan is Kyoto and there are two companies for it – Shochiku Company Limited and TOEI KYOTO STUDIO Co., Ltd. So, if you want to become a samurai actor, contact Shochiku or Toei, or both. Each has auditions and training schools, so it may lead you on your way to being a samurai actor. 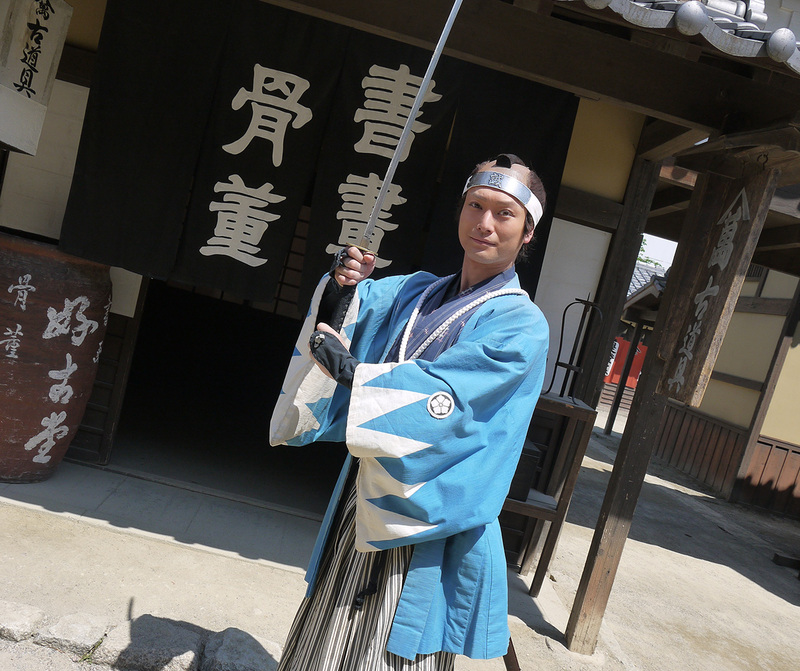 Tokyo is mainly for contemporary acting, so if you want to be a samurai actor, you have to come to Kyoto. 7. What's the difference between Shochiku and Toei? When samurai films were more popular, there were actually more movie companies out there. The five biggest companies were Toei, Shochiku, Daiei, Toho, and Nikkatsu. At the time, Shochiku and Toei were rivals, but we are friendly now. Each company has its own color. Simply put, Toei tends to perform exaggerated, showy samurai sword fighting (i.e. 1 samurai vs. many bad guys), whereas Shochiku tends to pursue more realistic sword fighting (i.e. 1 samurai vs. 1 or 2 bad guys). Now we both want to liven up samurai films/plays/dramas together, so we even exchange actors/actresses sometimes. Our studios are only a 5-minute walk apart, after all. 8. What kind of training do you have to do to be a good samurai actor? Certainly, learning samurai etiquette and manners is one part of it. If you have no sense of samurai propriety, you can't be a good samurai actor. You play a role in a samurai society with very strict discipline. Even when performing hara-kiri, you have to conform to the rules of etiquette. You can't just randomly stab your stomach and die. It's surprising that there is even etiquette on how to die properly, right? So there is a lot of etiquette for every movement in everyday life – from the way you move to the way your act. The samurai learned all the rules of etiquette in those times, so if you play a samurai role in a sloppy and careless way, you won't look like a samurai but like an ordinary person walking with a katana sword. It might be a little difficult to understand, but you have to train such etiquette into yourself in order to look like a real samurai. There are many teachers who can teach those points of etiquette in TOEI. One of them has taught it for about 60 years. We often learn from them directly and the other times they come to the site where we are shooting and lecture us on the spot. 9. 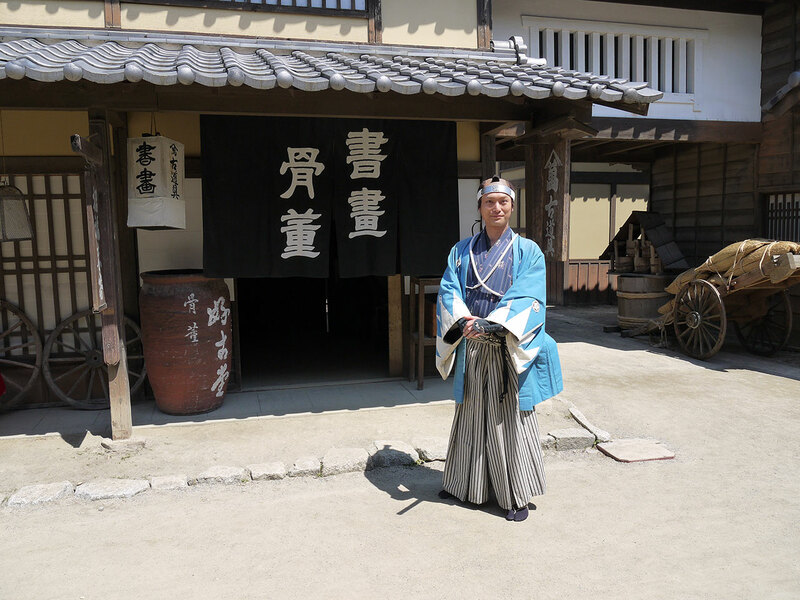 What is the daily life of a samurai actor? For example, if I get a job starting at 9 a.m., I usually go arrive around 2 hours early…so around 7 a.m. Then I put some make-up up on, dress up, of course with the samurai wig, and then wait for my time. Sometimes shooting can begin earlier than scheduled, so everyone is usually there a little earlier to get ready. Then we often ride on a microbus called roke-basu (shortened from location bus) to go to a mountain shooting or a castle shooting until sunset. There are also night scenes to shoot, so we can literally spend an entire day shooting. It really depends on the shooting schedule. There is no fixed set time like a normal office worker's 9 to 5. It's a day-by-day schedule. Sometimes shooting lasts until midnight and other times it finishes within 30 minutes. In those cases, preparation time is way longer than the actual shooting. If it is a TV drama series, it usually takes about 3 weeks to shoot one episode, but we don't spend the whole 3 weeks on just one episode, so it normally takes 3 months to shoot 10 episodes. 10. What is the best thing about being a samurai actor? There are more than likely numerous answers for this, depending on the person, but to me, it's to gain opportunities to know about Japanese history and other historical things such as temples, shrines, traditional architectures, Buddhist statues, and etc. We are sometimes permitted entrance to places that are not opened for the public, like shrines and temples, too. Throughout those experiences, I learned a lot of things and I could once again feel the greatness of Japanese culture. For example, I realized how important the sense of season is for the Japanese people once again. There are obviously four seasons, but I hadn't really been aware of it, at least in the way I am now, before starting as a samurai actor. However, when I go to various shooting spots, I see the difference in trees and plants in each season and find a sense of season in every location each time. Another great thing about being a samurai actor is to know that people are people. I mean, to know that we are all the same human beings after all. Since actors and actresses in classic film speak a different language from contemporary film, I used to think it was too polite and that it felt a little stuffy. In other words, the samurai speaks really politely to follow the rules of etiquette and the yakuza speak a very rough language. Before I began acting, to me, they seemed as though they were for a completely different type of person. However, once I played various roles, I realized people are just people after all and they feel the same way as we do now, no matter what kind of people they are, or which era they belong to. Of course, they think differently, but I'm referring to our basic feelings as humans. When they eat delicious food, they find it "delicious" and when they look upon beautiful things, they see beauty. It may sound very obvious and I knew that in my head, but I think I had some stereotype formed in my mind about how the samurai or yakuza would feel since they spoke and speak very differently. And now I realized I was wrong. I learned we are all radically the same as human beings, as we feel the same way no matter how we speak, what we wear, or the times we live in. Speaking of language differences, it is also great that I can see the roots of our language nowadays. I learned how samurai changed the end of a sentence as a consideration to the person to whom they are talking. It leads to the keigo we use now. 11. What is the worst thing about being a samurai actor? There are not many bad things about being a samurai actor, so I can't choose the worst. I'll just sound off the random bad things instead. First, the preparation time takes soooo long. It's also difficult to get used to samurai etiquette and manners because it requires exclusive knowledge. Fighting with swords requires special skills too. Oh, and we are very hot in the summer and very cold in the winter. I don't wear anything underneath the samurai clothes, even in the winter, because it could be shown in the film and ruin the scene, though some people cut up their sweaters and wear them underneath their kimonos. So I am absolutely freezing while acting in the winter. When it comes to the summer, I sweat a lot because of the samurai wig. Oh, and if the wig doesn't fit your head, it can give you a headache. It's said that being an actress/actor requires patience, and that is true because the amount of time spent waiting can be really long. For example, after one hour of shooting, sometimes you have to wait for three hours until the next shooting. You can set the studio up to make it seem as though it is night time even though it is morning and vice versa, so I also tend to lose track of time. Another bad thing is having to go to the bathroom because I have to take all of my clothes off every time. A real samurai probably didn't suffer from that because there is an easier way, but we have to keep our clothes clean for shooting, so it is a bit troublesome for us. I could be scolded if I wrinkled it up. Once you get used to all of the above though, there there really isn't anything big, but until you get used to them, they may bother you. 12. What is the most interesting moment you've had as a samurai actor? There are many things, but here's an example. While reading a script I once found a line like this, "That guy says he is a farmer, but his left waist is a little lower than the right, so he must have been a samurai before." I thought this line really made sense because all samurai wore their katana sword on their left side. I'm interested in small details like that and get impressed when I come across them. I like acting but reading such script descriptions is a lot of fun too. If I wasn't a samurai actor, I would have never been able to read such descriptions and make such connections, so I really appreciate it and think it is very interesting. However, those details are fading in recent samurai films. For example, samurai were all trained to be right handed in those days, but you may find someone acting in a really important role, but they're left handed. The samurai films for young people focus on trying to be easy-to-understand so they are not really picky about small details like this, at least compared to traditional samurai films. You can pick out such differences in the scripts too. The traditional ones definitely use much more difficult Japanese, albeit still understandable. I do lectures at a voice actor school since samurai actors are often required to dub in their own voices to the film as background noise is recorded while shooting. When I showed both kinds of scripts to my students, they couldn't read many of the kanji in the traditional samurai film script, whereas they had no problem reading all of the kanji in a recent samurai film scripts. It's changing to adopt the new generation and it is good, but also a little sad. 13. What's the funniest moment you've had as a samurai actor? While dressed like a samurai for a shoot and having a break, an elderly woman began walking towards me. I expected to be asked to take a picture with her, but she just stopped in front of me, gazed at me, pressed her palms together, bowed, and worshipped me while murmuring "o-samurai-sama, o-samurai-sama", and then left. It happened in this very movie village. And it was the funniest moment I've had as a samurai actor. 14. How many times have you been killed? 15. How many times have you killed? 16. In the past, our readers have been interested in how the samurai speak. 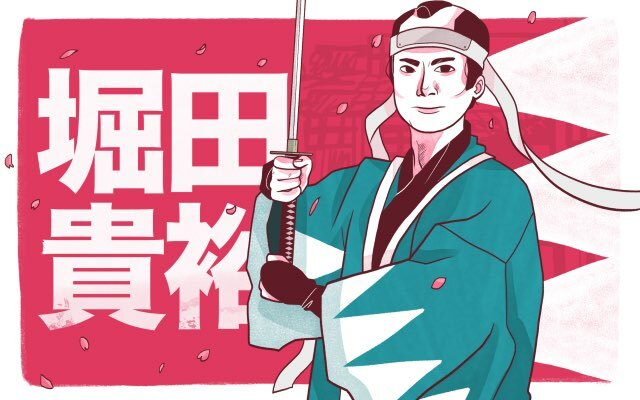 What are your top three tips for speaking Japanese like a samurai? Speak politely while being respectful to other people. Memorizing famous expressions. One of the famous expressions of the samurai is "ござる (gozaru)" meaning "to be", but it's not commonly used in films. We actually use some of the same expressions as modern ones, such as "desu です（）, masu ます（）, or dearu である（）." Yet, we often use "tsukamatsuri sourou 仕（つかまつ）り 候（そうろう）" which is used to tell a person of higher status what you have done, or something like that. I think it's because if we use all samurai era expressions, it would not be easy to understand for viewers. In other words, you can learn famous expressions from samurai films while still understanding the story. So, watching samurai films or dramas is an easy way to pick up famous expressions and practice them. It'll actually be very good practice for learning modern Japanese too because nowadays people often don't pronounce the ending of the sentence properly, or they change it into a very rough version of the expression. Yet, in samurai films (especially the traditional samurai films), people speak Japanese very clearly and properly, from the beginning to the end of a sentence. So it will definitely be great way to learn and practice beautiful and polite Japanese. With the consideration of the above two pieces of advice, you can learn the structure of the words and word choice. For example, samurai often say "de sourou ~で（） 候（そうろう）" at the end of a sentence and that can be translated as "aru ある（）" or "iru いる（）" in modern Japanese and "to be" in English. It sounds like a difficult word, but it's just a word to show your respect to someone else. Samurai language is all about respecting and being considerate of the other people. So as long as you keep that in mind and you come to learn specific samurai words and ways of saying them, you will naturally learn when to use it. 17. Do you ever find yourself speaking like a samurai in your real life? I usually speak Kansai-ben, but when I play a samurai role, of course I use the standard and polite samurai-ben. It's okay to talk to the director in kansai-ben, but I just adapt my manner of speaking to suit the occasion. While I am acting, I may speak kansai-samurai-ben if it was required. For example, visitors to the movie village are usually not from Kyoto. They are usually people sightseeing in the Kansai area and, to entertain them, I use Kansai-samurai-ben so that they feel, "Oh I am in Kyoto now!". I don't do this when I explain or describe something because they might not be able to understand it if I use that dialect to do so. Actually, I happen to act like a samurai in my real life rather than speaking like a samurai. For example, let's say there is a cup on the table and I am going to grab it. If I'm wearing a tshirt, I don't need to worry about my tamoto, which is the sleeved pouch of the kimono, but I still will move my other hand as if to grab the pouch. Then I get rather surprised to only catch air and think "why is there nothing here?". Or when you bend your knees, if you just bend over as you do in jeans, your hakama (pleated Japanese traditional pants) can get messed up. So you have to keep them beautifully parted beautifully. I sometimes will do this action even when not wearing the hakama. So people sometimes stare at me as if to say, "what did you do that weird action for?" 18. If there are readers shooting samurai films and want to ask you to act in the film, what should they do? If they get in touch with TOEI and if I am available, I would be happy to take the offer. Or send a message to Mami and she will be able to reach to me. 19. Now that we're nearing the end of the interview, do you have any messages or other interesting stories for our readers? I want to tell them that the traditional films might seem a little difficult at first, but they are actually not difficult at all. The feelings that people have and experience are the same no matter which era they live in. The culture and life settings are different from what I live in now, so we can be quick to feel it's too difficult or too stuffy. If you think that way, just try to focus purely on the human aspect of the drama, apart from all the historical stuff. It should be a very easy to understand and an enjoyable story with Japanese emotions and inner beauty. Or if you like soap operas, sometimes such a lurid relationship is described in a traditional film as well, since it was a very common thing for a lord to have many wives to produce an heir. Well, that doesn't sound stuffy at all, right? So if you have a preconception that samurai films are difficult, please toss it out of your mind and try out the films. I'm sure you will enjoy it!